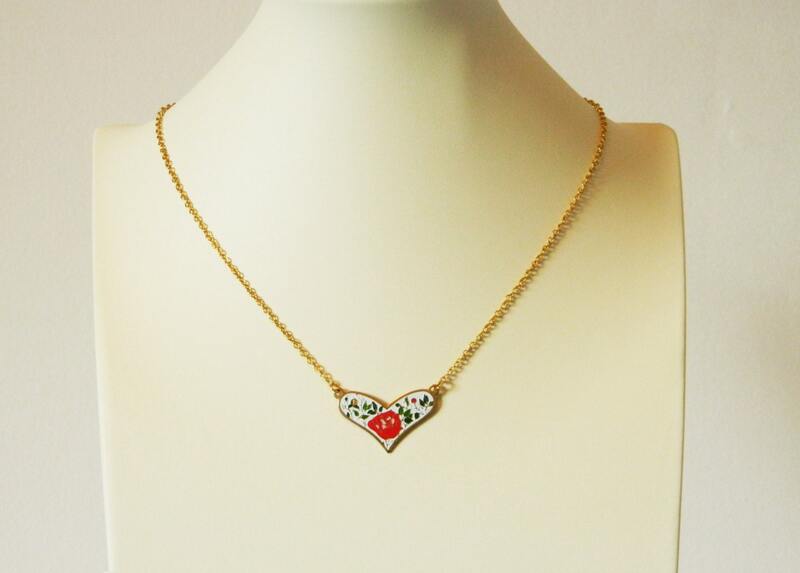 Vintage Enamel Heart Necklace with Red Rose. 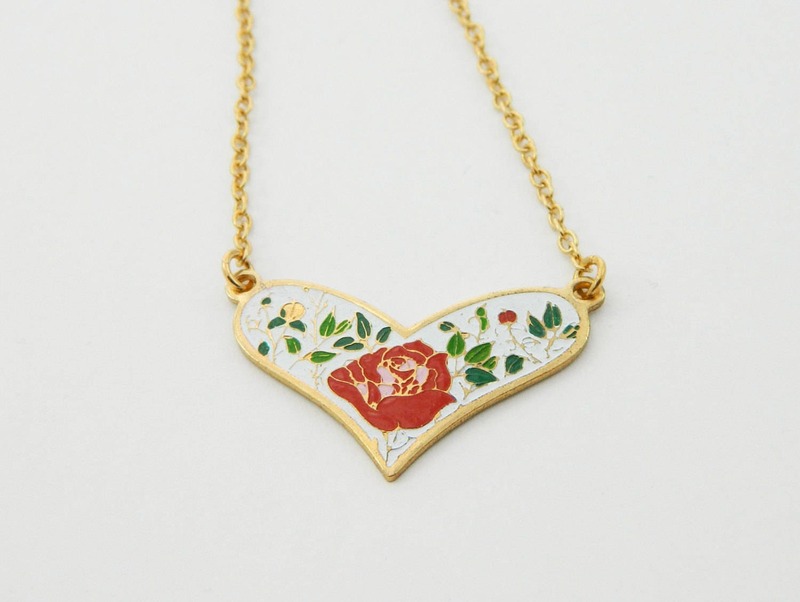 Vintage Brass Heart Shaped Rose Print White Enamel Necklace. 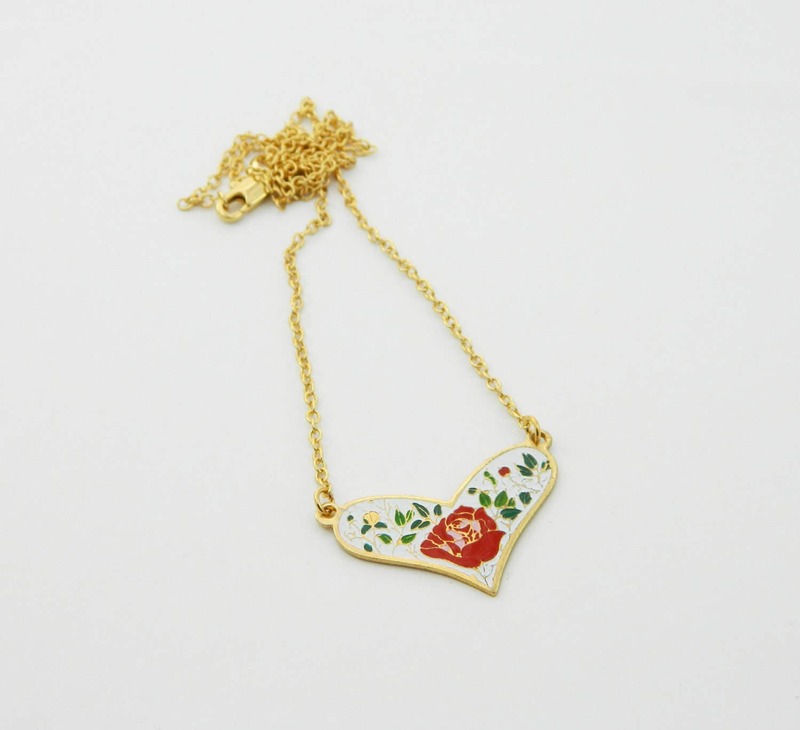 Pendant Dimensions: 20mm H x 32mm W.